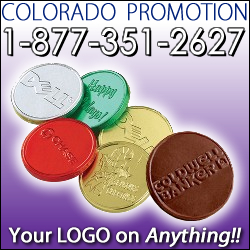 Put your order in for these favorite Belgian Chocolate Coins with a custom embossed logo of your choice. These candy chocolate coins come in gold, copper, silver, green, purple, blue, and red. Flavors can be milk chocolate, dark chocolate, and dark mint chocolate. These chocolate coins are a great giveaway for nearly any event. Order today!